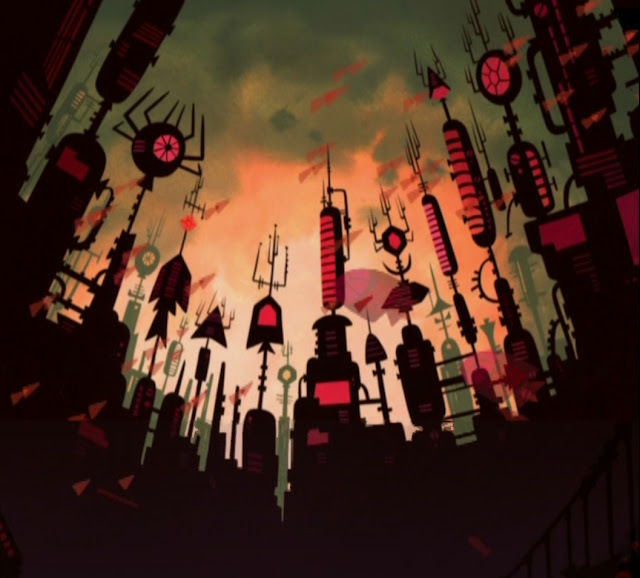 Today's inspiration: Samurai Jack, a show that consists of one drop-dead gorgeous images after another. If you've never watched an episode or actually paid attention to the plot and never noticed the backgrounds, picture them like this: vintage storybook illustrations by some artist who's watched too much Blade Runner. Here, for example, is a shot from the opening credits that sums up Jack's universe quite well. Conversely, other art succeeds in its simplicity. 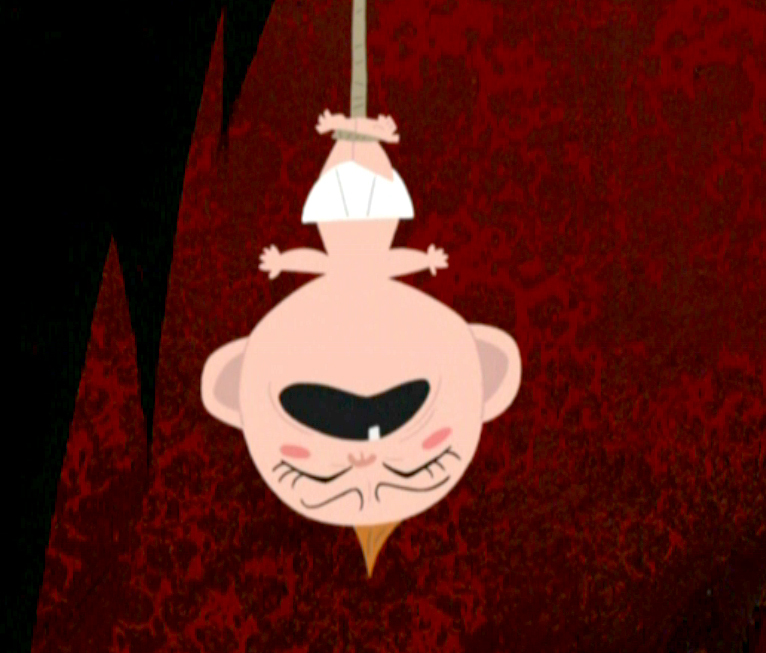 Take this image, for example: a baby, hung by its feet and none too happy about it. Jack saves him from a trio of hungry ogres in the series' last episode. This has been today's inspiration. Indeed, a kick I got. I love when anyone takes seriously something that wasn't necessarily meant to be taken that way. I feel like I should re-watch Three Caballeros. I saw it once when I was a kid, but hadn't seen it again, due in large part to the fact that I so often would confuse it with Three Amigos.